Suzanne Peck is an educator, author, filmmaker and consultant who designs and leads training programs for culturally diverse audiences of all ages. Antibullying and diversity: Suzanne is the author and filmmaker of STAND TALL: Lessons That Teach Respect and Prevent Bullying (Corwin Press, A SAGE Company). The “upstander” program it advocates has been adopted in schools throughout Santa Barbara County and nationwide. She speaks frequently and organizes conferences to foster an inclusive, respectful and welcoming culture where youth feel safe and free to be themselves. In May 2016, she co-organized the first “Stand Together” event, in which hundreds of local students collaborated on anti-bullying projects at the Earl Warren Fairgrounds. Suzanne’s consulting and presentation skills were honed at Towers Perrin (now Towers Watson), a management consulting firm with 14,000 consultants in 80 offices around the world. Suzanne founded and led the firm’s training practice, with a technical focus on equal employment opportunity, diversity and harassment. Suzanne became a partner and led the Human Resources and Communication line of business. Suzanne has worked with Fortune 500 companies to manage diversity and change for more than 30 years. At organizations from Disney to McDonald’s to University of Chicago Hospitals to GE, she has partnered with executives to develop educational programs and facilitate team approaches both nationally and internationally. Authorship: In addition to Stand Tall, Suzanne co-authored RUFF: A Lost Dog Tale, 5 Great Strategies to Manage Change at Work and Beyond (with Penelope Wong). She participated in the development of I’m In Charge, a consumer assertiveness education program used by more than a million employees in 400 companies; Expect the Best, a film starring Phylicia and Ahmad Rashad; How to Make Meetings Work, now in its 9th printing; Boomerang: A Management Training Program in Equal Employment Opportunity, used by half of the Fortune 500; and The Color of Leadership, Northwestern University’s Media Management Center. 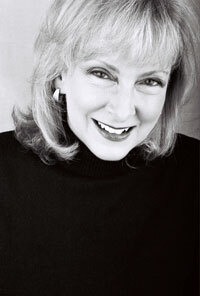 Education and honors: Suzanne received a BA in communications from Northwestern University. Coming full circle, she has taught about diversity within Northwestern’s Media Management Center, an executive education program of the Kellogg School of Management and the Medill School of Journalism. A sought-after public speaker and trainer, she has won many awards for creative excellence in communication, film and training programs, including the Association of Educational Publishers, the U.S. Industrial Film & Video Festival, the International Association of Business Communicators, and the Human Resources Management Association. Suzanne’s communication skills began with public school teaching assignments in Chicago, Illinois and Lexington, Massachusetts, She then began leading teacher-training programs with Interaction Associates in San Francisco, California and teaching courses in Education and Communication Studies at Dominican University in San Rafael, California. Public Service: Suzanne currently serves as a Commissioner on the Santa Barbara Commission for Women, and is a Dean’s Ambassador at the University of California Santa Barbara Gevirtz Graduate School of Education. She is active in various community organizations.